Put together a gorgeous slideshow with professional transitions and synchronized music. 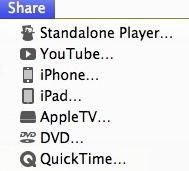 Now present it to others via a projector, Apple TV, YouTube, or even on a DVD. Sound complicated? On the contrary, it’s remarkably easy and fun with FotoMagico 4. When you open a new FotoMagico 4 project, you’ll find your media libraries available on the right side of the screen. Simply drag selected photos or videos onto the storyboard in the order you choose. Here you can set how long each will remain on the screen and select transitions between each slide. You can insert blank slides and add opening and closing titles on them. At this point you can play your slideshow and if you’re satisfied, you’re done. The process is simple to grasp because the app is easy to understand. Delve a little deeper, and you’ll discover why FotoMagico has such a wide following among professionals and home users. It lets you be very creative with fades, transitions, and slow zoom and pan effects in the Storyboard. New in version 4 is the option to add layers so that Picture-in-Picture effects can be included. In addition, the new version includes the ability to work with a visual music Timeline so that your slides can be synchronized to the beats or breaks in the music. If your presentation requires it, you can even add narration. Some of the best features of FotoMagico are its many export options. Once you have completed your slideshow, it can be exported to an iDevice or an Apple TV, you can upload it to YouTube, or it can be saved in QuickTime format. In addition, if you have iDVD or Roxio’s Toast, the slideshow can be burned to a DVD playable on any TV. Finally, Boinx includes a standalone player so that slideshows can be presented from another computer. This makes it possible to give presentations away from your own machine. 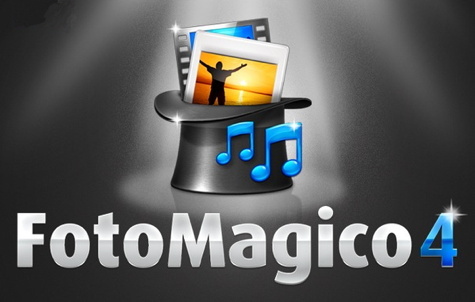 FotoMagico has been available for many years and it has won many awards. Boinx has increased its capabilities with each iteration. Now that it is available in the Mac App Store, FotoMagico 4 is sold only at full price with no discount given to owners of previous versions. This has caused grumblings among many longtime users. However, Apple insists that apps in their store cannot be sold at lower prices elsewhere. This has forced Boinx to sell FotoMagico 4 for $99.99 even when it is downloaded via their site. However, the license permits installation on two Macs. This allows users to have one on their home machine and one on their laptop. FotoMagico 4 requires Mac OS 10.7.4 Lion, or later. For $99.99, you get a very powerful app, but the price may discourage some home users. That’s unfortunate because the results are so impressive. Earlier on, Boinx made separate home and pro versions of FotoMagico but they have not made that option available in recent versions. The ability to make slideshows with music, videos, text, and narration without hours and hours or work makes FotoMagico 4 an ideal medium for professional photographers, business presentations, sales pitches, clubs, and home users. Imagine attending a wedding and sharing a DVD with the newlyweds and family members or taking a cruise and preserving your photos complete with a soundtrack of local music. Event photographers often use FotoMagico to produce nearly live slideshows for attendees using their just-taken photos. The uses for this application are only limited by your imagination. You’ll love FotoMagico 4. It’s easy and intuitive to use, and even for casual users, it can produce stunning results. Now with slightly less crazy!